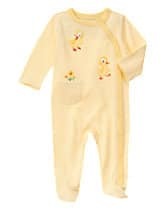 I am excited about this adorable new collection of baby clothes at Gymboree! I’ve been invited to (or am hosting) baby showers for seven (yes, SEVEN!!) different moms-to-be this month, and I need adorable baby gifts to give! Doesn’t it seem like everyone is having babies right now?!! How fun! 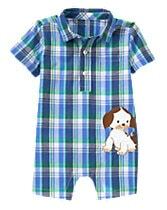 What I love about Gymboree most is the quality and softness of the fabrics. Whatever I purchase from there always lasts, washing well and keeping its color and softness. 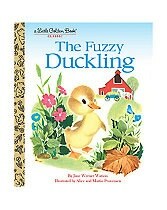 Little Golden Books reminds me of my childhood, and I would love to share that with a friend. 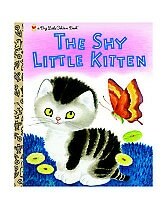 Don’t you remember Little Golden Books? 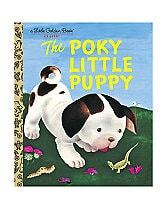 Little Golden Books are just iconic. So here is where it gets fun…Gymboree is hosting a One Big Happy Storytime sweepstakes, giving away everything a family needs to make storytime extra special. You can enter for the chance to win over $2,000 in prizes, including Little Golden Books nursery bedding and décor from The Land of Nod, a set of Little Golden Books from Random House, and a $500 gift card from Gymboree. Fans can see rules and enter at gymboree.com/littlegoldenbooks now through February 29; winners will be announced in March. Also, while we are browsing these adorable clothes, keep in mind they are offering up to 80% off when you take an extra 50% off clearance at Gymboree’s President’s Day Sale! This may be a good time to purchase and put away gifts for future! 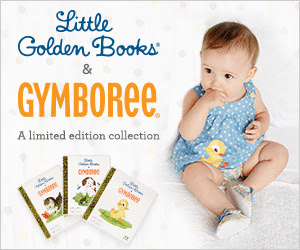 Gymboree celebrates One Big Happy Storytime with the launch of a limited-edition baby collection featuring iconic characters from Little Golden Books. The Poky Little Puppy, The Fuzzy Duckling and The Shy Little Kitten all come to life in cute, cozy, giftable clothing and accessory sets.